Nothing is more frustrating than putting hours of work into your garden, only to find that pesky rabbits have ruined it overnight. 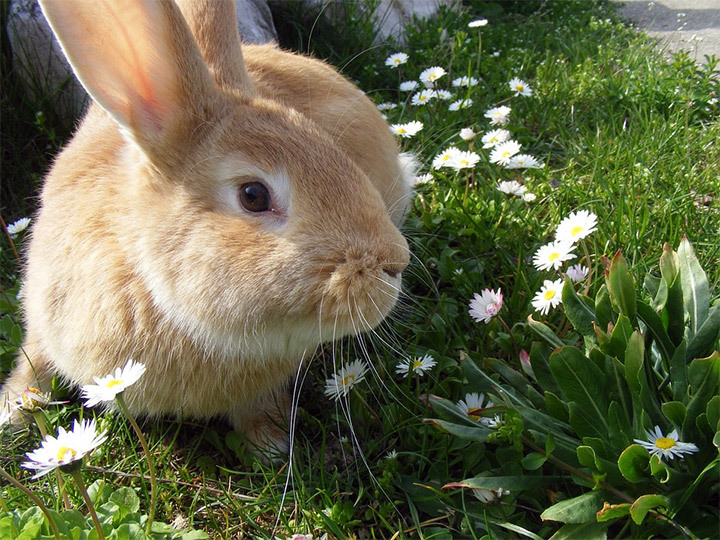 Rabbits love to nibble on flowers or plant leaves, and they may even eat the fruits and veggies you were growing for yourself. 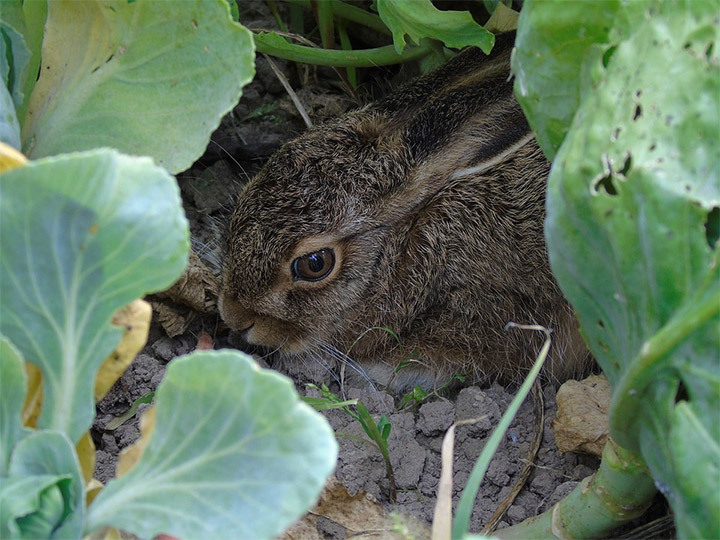 Luckily, there are a few simple ways to ensure rabbits stay out of your garden. First, you’ll want to identify your problem. Remember, rabbits aren’t the only wild animals that can destroy your garden. Deer will often wander into suburban areas and eat from gardens, and squirrels love to dig up plants. Keep a look out for rabbits, especially in the early morning or late evening, when rabbits are most likely to be out and about. Check the remains of plants that you suspect rabbits have eaten. Rabbits will nibble neatly from twigs and leaves, while deer will destroy a whole plant. Squirrels are more likely to simply dig your plants up. Once you’ve confirmed that rabbits are indeed the problem, you can start solving it. The best way to keep rabbits out of your garden is to build a fence. 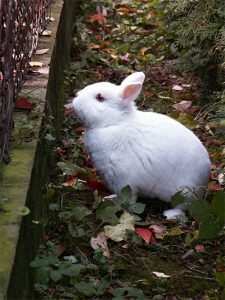 Your fence doesn’t need to be more than a few feet high—rabbits, despite their reputation for hopping around, can’t jump very high. However, your fence should be buried a few inches into the ground. Otherwise, rabbits will simply dig under the fence to get to your garden. You can build a fence yourself with a few simple materials. Chicken wire is perfect for keeping out rabbits. You can use small wooden or steel posts to support your fence. Building the fence is easy, and doesn’t take much expertise. Check out this online tutorial for simple instructions on building your own rabbit-proof fence. If you want a fence, but still aren’t sure you can build it yourself, there are commercial options available, like this rabbit-proof one from Tractor Supply Co. While not as effective as a good fence, you can try using chemical repellents to keep rabbits out of your garden. You can buy repellent at most home improvement or gardening stores, as well as online. Be sure to read the instructions carefully. Many repellents are not safe to spray directly on crops you’ll be eating. Repellent will need to be applied every few days in most cases. You’ll also have to reapply any time there’s a heavy rain, as repellent can be washed away. Be sure to spray all around your garden, especially on the edges. Finally, you can also try natural solutions to solve your rabbit problem. These will have varying degrees of success, but can be easier and less expensive than building a fence or spraying chemical repellents around your garden. One natural solution is to get rid of places rabbits like to hide. Rabbits love to hang out on the edges of forests or in areas where they can easily scurry away and hide. Clear out some space around your garden, getting rid of bushes, shrubs, or tall grass. These are all favorite places for rabbits to hang out and hide. Another natural way to solve your rabbit problem is to plant things the rabbits want to eat. This sounds counterintuitive, but it can actually solve your rabbit problem. Rabbits love young, tender leafy plants. Plant a small patch of their favorites, like alfalfa and clover, and you may find that all the wild rabbits that used to nibble on your garden are going for these plants instead.